This is a question Tammy Wright asked herself in an article in the Washington Post. Wright is a nurse assistant who works alongside volunteers at the Western Reserve in Cleveland, Ohio. The Western Reserve is a non-profit hospice that treats patients who have six months or less to live. Working at a hospice is uncomfortable for most people. Employees give medication to patients to help ease their pain. They build relationships with them until they die. 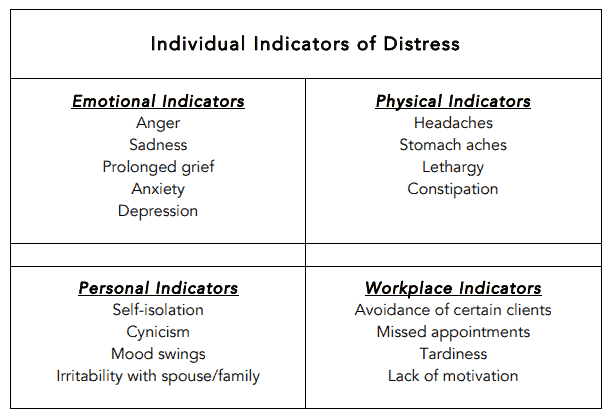 The Western Reserve lose an average of 10-20 patients a week, which makes it common for workers to feel compassion fatigue; they become seriously stressed and even detached to suffering. This fatigue has caused many workers in the industry to burn out and quit. However, this hospice has done a great job of retaining their employees. Their turnover rate is only 12%, despite most hospice agencies averaging over 30% turnover. The turnover rate and approaches of Western Reserve stand in stark contrast to many organizations both the nonprofit sector. Employees do not join nonprofits for the money. The pay is typically low, and the hours long. What motivates them instead is the opportunity have an impact and make the world a better place. According to a study by the TIAA, 75% of employees and 82% of managers work at a nonprofit because they want to make a difference in people’s lives. Although, most workers feel fulfilled by their job. It doesn’t stop them from quitting. Meanwhile, the number is higher at organizations located in vulnerable areas. For example, Lawrence Hall, a residential treatment center located in Chicago, has a turnover rate of 37%. So, why are these people leaving their job? They’re underpaid and overworked. They cannot live on purpose alone. 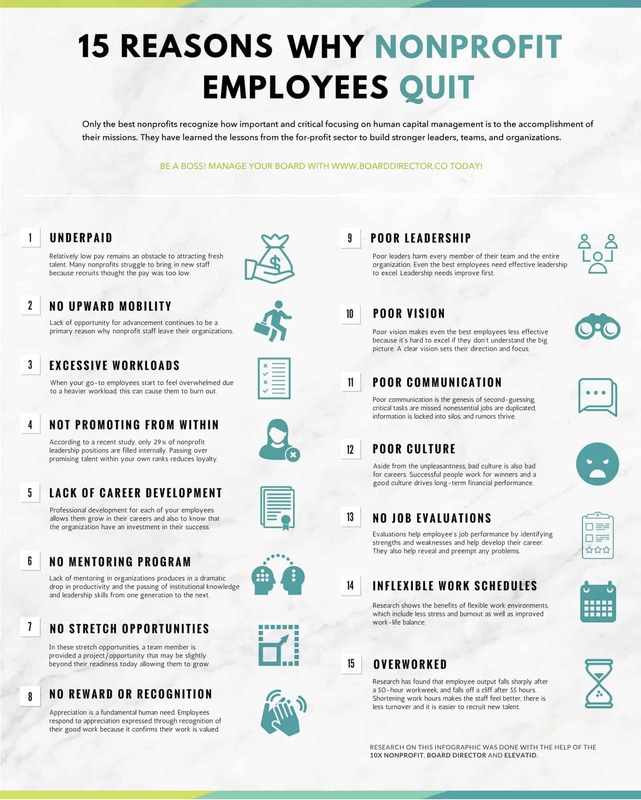 Unfortunately, a study by the Bridgespan Group found that nonprofits have come to accept high nonprofit employee turnover by popularizing a “low pay, make do, and do without” culture. Employees are expected to overly sacrifice their time and energy for the betterment of the organization’s mission. Not surprisingly, this leads to low employee engagement. Employees who felt “used up” were more likely to leave their job (53%) than those who don’t (12%). Given how many were feeling the weight of their job, it’s not surprising then that 45% of total respondents planned to leave their current employer. However, it’s tragic to see that the majority are either unsure of their next role or plan to leave nonprofits altogether. So, how do you fix this problem? The easy answer is to increase workers’ pay and take better care of them. However, it’s not so simple. During his presidency, Barack Obama wanted to decrease nonprofit employee turnover. So he and the Labor Department mandated that nonprofits pay their employees overtime or increase their salary to ~$47,500. Despite sounding like a good idea, there was a lot of push back by nonprofits. Unfortunately, most organizations couldn’t afford this without having to reduce their already spread thin staff. Likely influenced by that issue, a judge ruled against the mandate in 2017, so the problem still persists today. Working at a nonprofit can be both rewarding and challenging. In an interview with Idealist Careers, HR director Lessie Askew advised that managers make burnout prevention a priority. To do this, you can start by listening to your employees. Ask them to be open with you about the stress they’re dealing with. Askew recommends that you create a culture of acceptance. If a worker feels physically or mentally exhausted, they’re not going to share this information if they’re in a workplace that doesn’t discuss these issues. Remind your team that it’s okay to express distress. And, it should be shown by addressing these frustrations in 1-on-1s and support groups. But most importantly, you need to explain that it’s normal to feel sad, anxious, or overwhelmed in their field of work. In reality, their work is changing lives, and the situations affecting the people they serve are not their fault. Nonprofit employees need to know that the best way they can help others, is by taking care of themselves first. You can help ease your worker’s frustrations by providing healthy outlets like the Western Reserve did. At the hospice we mentioned earlier, they invested in programs that helped workers combat nonprofit employee turnover like yoga and reiki sessions. Managers would encourage the staff to confide in their peers and to develop activities that remind them of their job’s purpose. Director Kevin Dieter created ceremonies to honor deceased patients as a way to give closure to his workers. Regularly check-in with your employees and work with them to develop some of these approaches as habits that will keep them refreshed. Over time, you’ll see your team members better cope better with the emotional toll of their jobs. In a past blog post, we showed you how employees want career development more than any other perk, including bonuses. This is true even in the nonprofit world. The survey, Engaging the Nonprofit Workforce, discovered that the majority of respondents picked their employers because they were looking to grow professionally. Unfortunately, that goal wasn’t being met. About 43% of workers felt that doing their job wasn’t getting them promoted. Meanwhile, almost half of them didn’t receive any regular job training. Even worse, many felt that they were at a professional dead end while out-of-touch higher ups stayed in power or refused to promote from within. To address this problem, look for ways to grow each person on your team. You can start by offering them training or any resources that improve their skills. There are many ways to train your team. You can offer them books, schedule private mentoring sessions, or sign them up for online classes. You can also look for growth opportunities within your organization. We have a whole post on growing your people beyond promotions you can read here. The key is to set aside time to make it a regular topic of discussion. 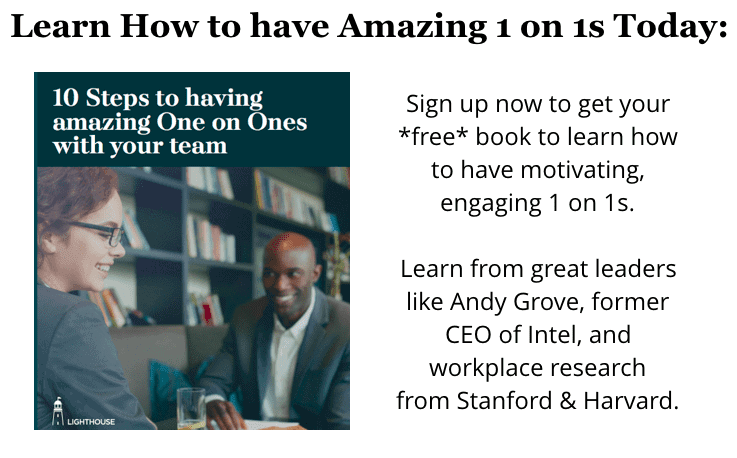 Your 1 on 1s are the perfect time to work with them on their goals so they can make small, incremental progress. If you want help starting the discussion, see our post here. 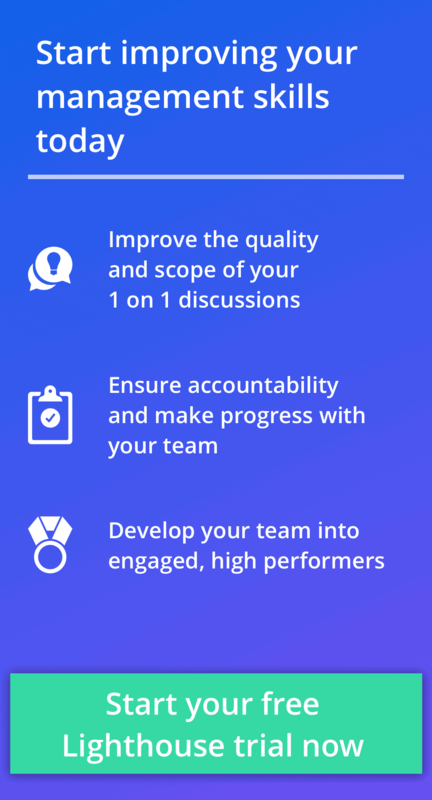 Putting time and effort aside to investing in your team’s growth will both help boost the morale of your team, and save you time on having to replace team members that would otherwise leave for growth elsewhere. Sometimes nonprofit employee turnover is the result of workers feeling burned out. They have too much to do and they need a break. To help relieve the pain, try to balance work across your team. This isn’t always going to be easy, but it can make a big difference in stressing and ultimately burning out some staff. You can make a big difference by being intentional in how you assign work and projects based on position, strengths, and workload level for everyone on your team. However, it’s not all on you. Talk to your employees about this as well to get their feedback. The Overworked and Tired Workhorse: Show that you acknowledge their situation and want to determine if they can handle more projects. But be aware that some people tend to overestimate their time and say yes too often, so trust your instincts on when to pull back. The Struggling Person: If you’re noticing that they’re falling behind on their projects, step in. Tell them you want to help them with any issues preventing them from keeping pace with the rest of the team. These tips can help. The High Performer: Sometimes, you want to protect your best people from becoming overextended. This means taking away some projects from them. You can explain that you have other people who can fulfill a specific task. Or, you can be more direct and explain that doing great work on 4 projects is better than mediocre work on 5 or 6 projects. The Unmotivated Player: These are for those on your team who don’t seem to be giving enough effort, and that could be hurting their career. The best thing you can do is to take the discussion head on and push them to carry their weight. Set new expectations for what they need to accomplish and work with them on any blockers that affect their ability or motivation to complete their work. A good coach gets the best out of their team and puts everyone in a position to succeed. Taking time to evaluate how work is balanced across your team and how they’re responding to their workload is a great investment of your time as a manager. Part of what causes so much nonprofit employee turnover is the lack of funds; as discussed earlier, salaries are necessarily low, and teams are often then understaffed. Part of the reason for this is because most organizations are stuck in a starvation cycle. 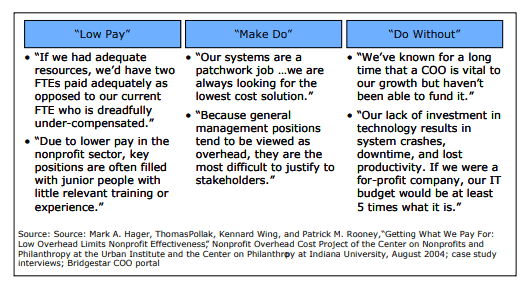 The Bridgespan Group found that most nonprofits feel pressured to meet their donors’ unrealistic expectations. So, they resort to under reporting their overhead costs or ignoring any investment needed to improve the organization, like workers pay. Like many startups, nonprofits raise money to further their mission. Due to the difficulty in raising money and to have most of it go to their mission, they try to squeeze as much productivity out of their employees as they can. But, it doesn’t have to be this way. 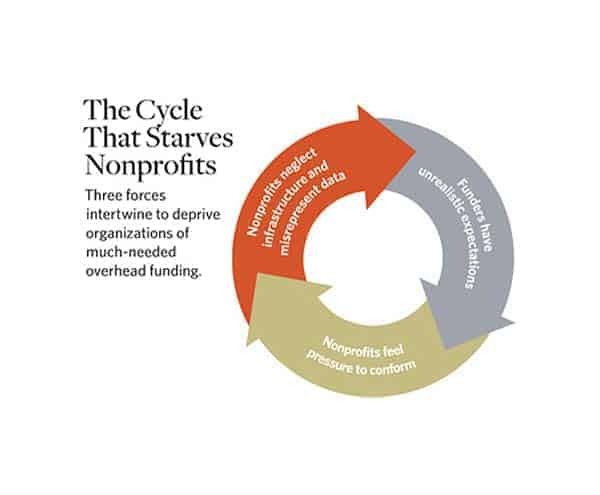 If you’re in this cycle, you’re most likely relying on a few donors to fund your organization. Instead of putting all your eggs in one basket, consider diversifying your income streams. Products or services – Offer items or memberships for sale. For example, you can buy $6.90 hot meals from Meals on Wheels. And, they’ll deliver it to your elderly or sick family members. Cause-related marketing – This is when nonprofits partner with businesses to develop products or benefit from their sales. Then, they’re given a portion of the donations. For example, The Body Shop worked with Woman’s Aid to sell mint lip balm. Half of the profits generated from sales went to the nonprofit. Sponsorships – This is when businesses donate goods or services. Rolex helped create original content on TED’s platforms. They also worked on an app called, Surprise Me! where users are selected TEDx talks based on what time it is. Corporate giving – This is when businesses agree to offer money or donations to support your cause. Google donated more than 5,000 Raspberry Pi computers to Japanese students who wanted to further their computer science education. Grant funding – This is free money given by the government, charities, foundations, or families. However, getting the money isn’t easy. Usually, you have to send a proposal and are evaluated against a lot of competition. But, it’s worth the risk! Donations – This is of course the most common path. It’s when individuals give money or resources to your cause. This makes up 72% of charitable contributions. Donations can be as small as $5 or as big as $5,000. UNICEF accepts donations on a monthly recurring basis, too. You may be able to come up with a new scale or approach to donations you accept. Fundraising – These are events when groups or businesses work together to raise money for a specific cause. For example, every few months, the March of Dimes partners with local businesses to raise money for premature baby research. Employees and their families will walk a few miles wearing March of Dimes shirts. Although, donors can be very helpful. They can also be restrictive. Since it may be difficult to get them to provide additional funds to pay your staff better, consider experimenting with other approaches that can help take some of the financial strain off your organization and employees. Many people want to do good in the world, and they try to do this through their roles in nonprofit organizations. Unfortunately, many of them struggle to make ends meet, or they feel like they’re being overworked with little reward. Both of these situations, and others like them, cause high nonprofit employee turnover rates. 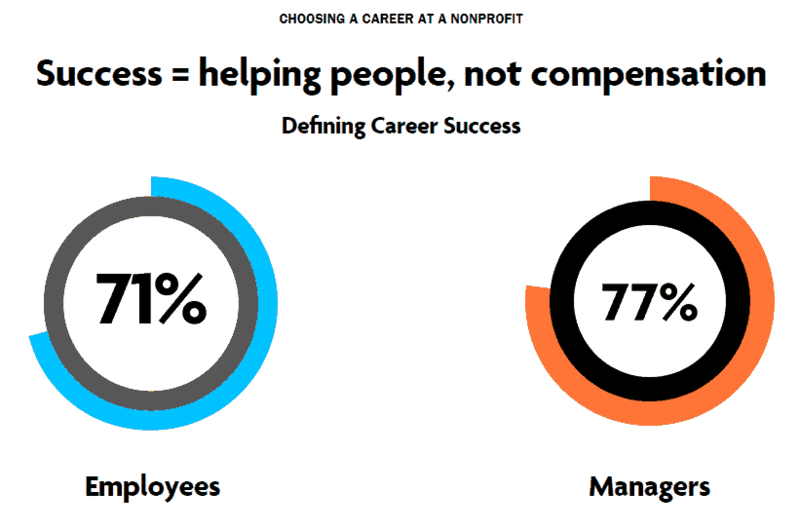 Given so many not only leave their nonprofit job, but the industry altogether, it’s important for leaders in nonprofits to take this issue seriously. Prioritize the emotional well-being of your employees. Ask how they’re doing. Help them develop habits that lessen and manage their stress. Next, feed their desire to grow by giving them job and growth opportunities that further their sense of purpose. Most nonprofit workers would take advantage of any chance to better society, so look for win-wins for them personally and for your organization. Finally, as you take care of your non profit employees better, remember to think about ways to raise more money. With new streams for funds for your organization, you can pay your staff better, hire additional help, and also further ensure the long term viability of your organization. Being strategic about stopping non profit employee turnover can help improve the health and well being of your organization and ensure you can fulfill your mission well for years to come.